Coconut chips are a delicious and healthy Thai delicacy made from the flesh of coconuts. 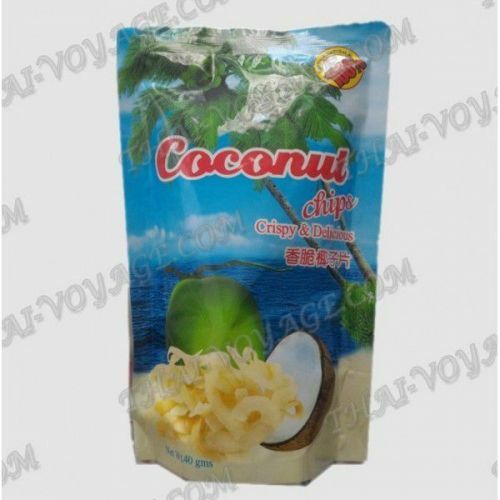 Thin crispy slices with coconut sweet flavor are all natural: coconut pulp – 95 %, sugar – 4,97%, salt – 0,03 %. 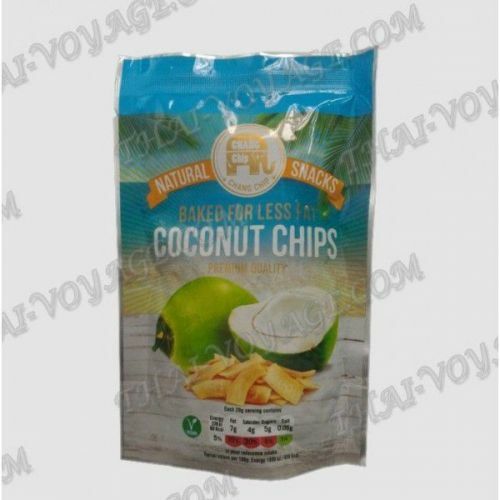 Coconut chips are made from ripe Thai coconuts without the use of oil, which preserves the natural taste. Chips of coconut – a healthy and light snack during the day, and a great addition to desserts, muesli or baked goods.